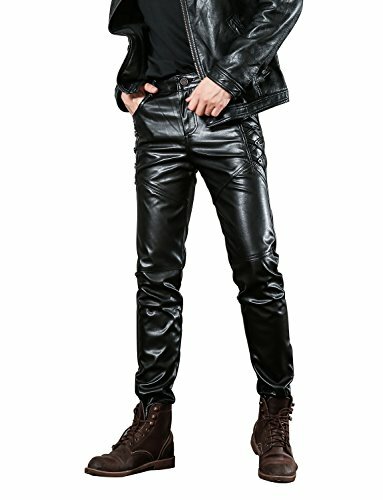 Leather pants suitable for Clubbing, Halloween,Christmas,Fancy night outings,Casual or daily wear,and easy to pair with T-shirts any garment. 1.please check the detail size information befor buying.thanks. 2. Due to the different monitor and light effect, the actual color of the item might be slightly different from the color showed on the pictures. 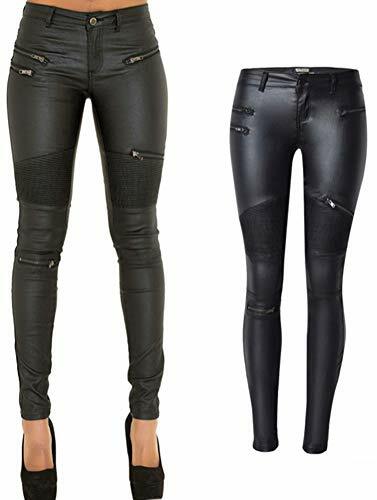 thank you!Sizes-(US)---------Long---------Waist(inches)----Hip(inches) Small(0-2)----------37"----------28-30"---------30-32" Medium(2-4)---------38"----------30-32"--------32-34" Large(6-8)----------39"----------31-33"---------34-36" X-Large(10-12)------40"----------32-34"---------36-38"